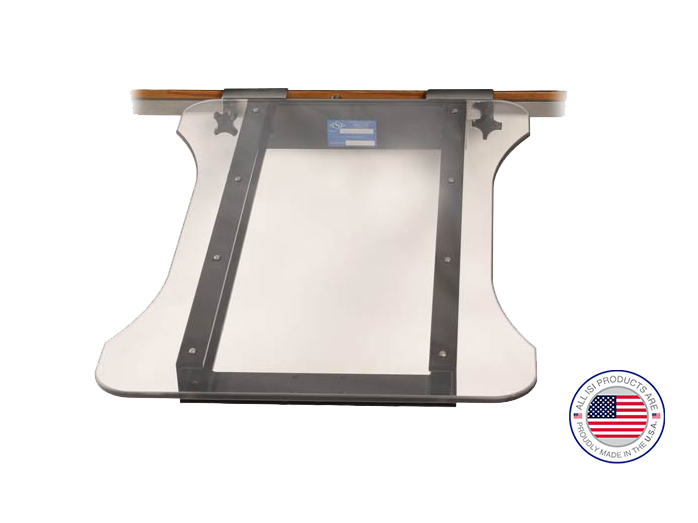 The ISI Self-Supporting Hand and Armboard Table offers the ultimate accessibility for surgeons and technicians during upper extremity surgeries. Every aspect of the Self-Supporting Surgical Table is designed and engineered to be a top-of-the-line surgical platform. A durable and lightweight Lexan top and strong aluminum frame combine to make this legless table convenient and functional. Attaches easily to the side rail of any standard O.R. table.